Makes the process of designing,constructing and remodeling your dream home simple. We make sure to provide our customers with affordable residential and commercial building plans and models that meet their living standard and comfort. 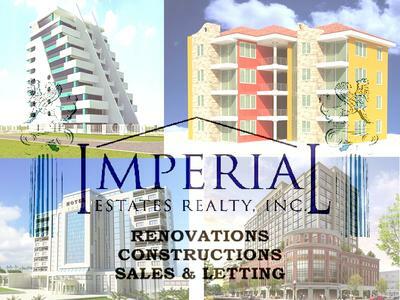 Our team can assist you with the design of custom shapes and work with you to integrate our shapes into your blueprints.IMPERIAL REALTY AND CONSTRUCTION LTD Architectural and Structures department uses modern art technology including, CAD, 3D and Chief Architect to enable speed and efficiency. We adapt the use of superior and modern building technics to provide cost effective and durable infrastructural constructions no matter how small or big the project is. Our staff of professional Architectural and structural engineers are here to serve you with modern and aesthetic yet custom made designs that have great patent. We can make just about any design you want a reality! Thank you very much! I appreciate your professional help, especially painting. We ordered the walls to be painted at essaykings.me office. Very high proficiency service!